Bjorn and his team are committed to providing your horses with the finest training and care that he and his staff can possibly give. Bjorn has worked for his father, Murray Baker (Currently New Zealand’s most successful trainer), on and off at every opportunity from the time he could wield a fork. Despite horse racing being in the blood, Bjorn graduated from Otago University in 1999 with a Bachelor of Pharmacy and spent over eight years in that profession before the pull of his horse-racing roots became too strong. He worked in New Zealand, Australia, England and Ireland throughout his pharmacy career which allowed him to attend many of Australasia’s and Europe’s great race meetings. 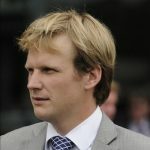 With dreams of becoming a thoroughbred horse trainer, Bjorn decided to capitalise on his years overseas and spent time at The Curragh with Irish Hall of Fame trainer, John Oxx, and in Belmont, New York with master US trainer, Christophe Clement. In 2007, Bjorn decided to forgo his Pharmacy career and join Murray in the family business. On Bjorn’s first foray with a horse to Australia he accompanied Nom Du Jeu on his highly successful Autumn Carnival campaign in 2008, winning the AJC Derby at 40-1. After proving his worth, Bjorn then entered into a training partnership with Murray from the start of the 2008/09 season; in both the 2008/09 season and 2010/11 Baker Racing won more prize money than any other New Zealand based stable. Bjorn remained in partnership with his father, Murray, for three seasons during which they won in excess of 30 Stake Races. The highlight of the partnership was in 2010 when Lion Tamer won the prestigious VRC Derby. Bjorn continues to maintain a strong working relationship with his father in New Zealand and It’s A Dundeel, Mongolian Khan, Bonneval and Jon Snow have all been stabled with Bjorn during their super successful Sydney Campaigns. Murray and Andrew Forsman’s record whilst travelling to Bjorn’s stable are simply unheralded. Since arriving in Sydney Bjorn has not only produced results with stayers such as Cantonese, Candelara, Imposing Lass and Mr Tipsy as expected with his background; he has also produced numerous 2yo winners including Unencumbered, Winning Rupert, Champagne Cuddles, Goodfella, Twilight Royale, Fuerza and Brilliant Terror (sold to HK) and recently produced his first Group 1 winner with Music Magnate winning the Doomben 10,000. Bjorn finished the 2016/2017 racing season in sixth position on the NSW Trainers Premiership having 115 winners since the 1st August 2016 including 38 Metropolitan winners. Now in his seventh season training in Australia, he continues to go from strength to strength and is on target to have his best ever season in 2017/18. Jason has been the head foreman at Bjorn Baker Racing since 2011 and brings with him a wealth of racetrack experience both in Australia and his native New Zealand. Originally from the Geraldine in the South Island of New Zealand, Jason’s career in thoroughbred racing began at the age of 13 when he commenced work as a groom with Ray Pankhurst and Neil Coulbeck. 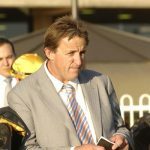 During his 26 years in Australia, Jason has been fortunate to work under several leading trainers including Barry Lockwood, Tim Martin and Peter Snowden and played a vital role in the success of each stable. Jason also spent several years as an employee of the Sydney Turf Club, working as a yearling breaker and barrier attendant. Jason oversees the daily management of both horses and staff ensuring continuity is maintained in all aspect of the horses environment as the stable continues to grow and expand, his attention to detail makes him an asset to the business. Jack joined Bjorn Baker Racing as the Racing and Bloodstock Manager in July 2015. Jack learned his trade at Windsor Park Stud in New Zealand and after graduating with a BComm (accounting and finance) and BA (economics) from the University of Canterbury, he was accepted onto the Darley Flying Start program, an international management training program specific to the thoroughbred industry. During his time with Darley, Jack spent two years working and studying in both the breeding and racing sectors of the industry in England, Ireland, America, Australia and Dubai. Jack’s education in the thoroughbred industry has been complemented by work placements with leading international trainer Mike de Kock at both his base in Dubai and in Newmarket. Jack is from Cambridge, New Zealand and grew up on a small property where his parents are hobby breeders and racing enthusiasts. Jack is heavily involved in all aspects of the day to day running of the business with a particular focus on communication, race programming, stock selection and sales.